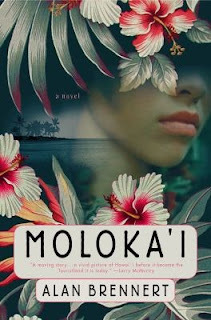 Moloka’i by Alan Brennert is another of my favorite books. It begins in 1893 when a little seven-year-old girl is ripped away from her family after contracting the seriously disfiguring and contagious leprosy disease. In those days, they had no treatment for the horrible illness and in order to contain the spread of infection to others, people were quarantined in leper colonies. Kalaupapa on Moloka’i was one of those colonies. This book definitely tugs at the heartstrings. I probably would not recommend it for pregnant women. One of our book club members was expecting a baby when she was reading about poor little Rachel being torn away from everyone she loved. She couldn't read three pages without crying and had to hide in the bathroom so her family couldn't see her flood of tears. And even for the rest of us who didn't have raging hormones producing lumps of sorrow in our throats, that particular part of the book was heart-wrenching. But that was only one part of the book. For those hearty enough to continue, the book unfolded a challenging but rewarding life for Rachel. The book was difficult to put down. It was interesting and drew us in. It was cruel and disturbing. It was triumphant and enriching. We laughed and cried with the victories and hardships that Rachel experienced. We didn’t want to leave her side. For me it was an unforgettable book that holds a special spot in my library and heart. actually not so far removed from us. 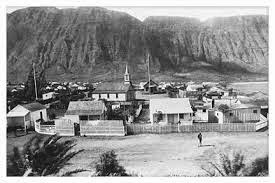 The Kalaupapa colony was first established in the 1800s. It wasn’t until 1969 that it was dissolved as a confined colony. Sufferers of the disease were finally freed from their prison, though were allowed to remain in the settlement that had become their lifelong homes. My mom worked with a woman who was a hula dancer and their dance group was invited to perform at the Kalaupapa colony. She still remembers having to wear socks so she wouldn’t pick up any germs. The dance group also brought in their own food. It’s something she never forgot. The good news is that leprosy, which is now called Hansen’s Disease, is treatable. The bad news is that there are still thousands of leper colonies in various third-world countries. India has a slew of them.